If you choose Rush Delivery, delivery time is within 20 days or even earlier including weekend. Normal Order Delivery time: within 30-35 days(From Jan to May), within 30 days or even earlier(From June to Dec). 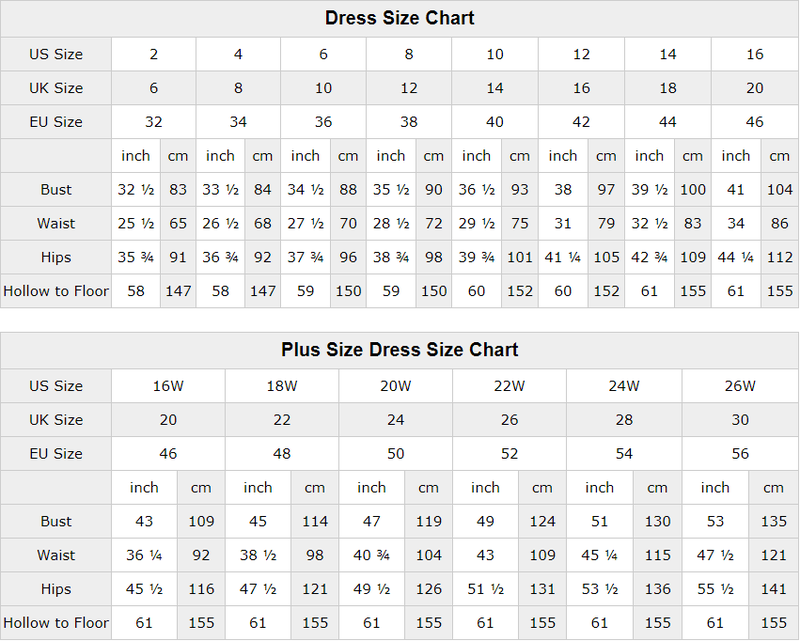 We can accept return of dresses standard size with picture color, please contact with us within 2 days when you get it. For custom order(Color not as picture shown or Custom Size) and plus size (larger than US14), sorry we can't accept returning, please note this policy, because even you return them back, we can't sell them again in the future. 1. Contact us within 2 days after you receive goods. We will try to avoid mistake, we know each dress is so important for each girl, since all dresses made by handwork, there might be mistake, but if it is our problems, we will pay all the loss..
Q: What's Your Cancellation policy? 4, dress has sent, can't return the payment to you..
Q:How Can you make sure dress will be fit well? A: Yes, there are no extra cost to do custom size and color here, please contact with us before you place order. Looking for prom dresses, bridesmaid dresses? Check out our full selections of dresses, all are made of high quality! We make many different styles of prom dresses and could customize much dress for you. These dresses are fashion and popular, to make you the focus of the prom or wedding.